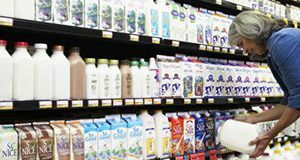 Lactose intolerance can be an uncomfortable, inconvenient condition with a variety of causes and treatments. This 3-page document will provide guidance for consumers so that they may find the right information to help them manage this condition. Written by Matt Krug and Amy Simonne and published by the UF/IFAS Department of Food Science and Human Nutrition, November 2018.